Epilepsy and seizures can have dramatic effects on cardiac function. The aim of the present study was to investigate deceleration capacity, acceleration capacity and their 24-h fluctuations of heart rate variability in patients with drug-resistant epilepsy. 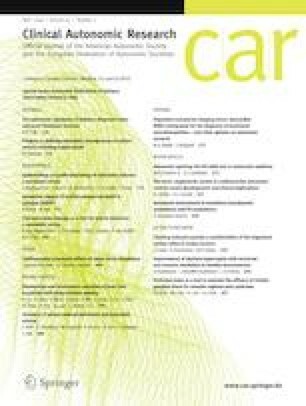 Deceleration capacity, acceleration capacity of heart rate and their 24-h dynamics derived from the phase rectified signal averaging method as well as traditional measures were analyzed in 39 patients with drug-resistant epilepsy and 33 healthy control subjects using 24-h electrocardiogram recordings. The discriminatory power of heart rate variability measures were validated by assessment of the area under the receiver operating characteristic curve. Net reclassification improvement and integrated discrimination improvement models were also estimated. Both deceleration capacity and absolute values of acceleration capacity were significantly lower in patients with drug-resistant epilepsy. The abnormal suppression of absolute deceleration capacity and acceleration capacity values were observed throughout the 24-h recording time (peaked at about 3 to 5 A.M.). Deceleration capacity had the greatest discriminatory power to differentiate the patients from the healthy controls. Moreover, in both net reclassification improvement and integrated discrimination improvement models, the combination of acceleration capacity or deceleration capacity with traditional heart rate variability measures has greater discriminatory power than any of the single heart rate variability features. Drug-resistant epilepsy was associated with a significant inhibition of vagal modulation of heart rate, which was more pronounced during the night than during the day. These findings indicate that phase rectified signal averaging method may serve as a complementary approach for characterizing and understanding the neuro-pathophysiology in epilepsy, and may provide a new clue to sudden unexpected death in epilepsy. The online version of this article ( https://doi.org/10.1007/s10286-018-0569-0) contains supplementary material, which is available to authorized users. The authors gratefully acknowledge Professor Meng Fangang and Zhang Jianguo in Beijing Tian Tan Hospital for their valuable work in diagnosing patients with drug-resistant epilepsy. We also thank Sanbo Brain Hospital Capital Medical University, TsingHua University YuQuan Hospital, Peking University First Hospital FengTai Hospital, Chinese PLA General Hospital, First Affiliated Hospital of PLA General Hospital and Navy General Hospital for their medical technological support. This work was supported by the National Key Technology R&D Program funded by Ministry of Science and Technology, sponsored by the Chinese Government (2012BAI16B01, 2013BAI03B03, 2015BAI01B08, 2016YFC1305703). The study protocol was approved by the Institutional Review Committee of Beijing Tiantan Hospital Capital Medical University (No. qx2014-010-02), and all subjects (or parents/guardians of subjects) provided written informed consent.